In 2012, the Environment Ministry of Norway announced that the carbon tax rate for its North Sea oil and gas production would be doubled in 2013. Norway is one of t he major oil and gas producers and the third-largest energy exporter in the world. About 21% of Norway’s gross domestic product (GDP) is contributed by petroleum industry. At the same, Norway has a long coastline and many glaciers, so it is especially sensitive to the threat of climate change, which causes global warming and ocean rising. Norway government pays great attention to environmental sustainability and implements strict climate change policy. The carbon taxes that it imposes on greenhouse gas emissions (GHG) per tonne are the highest in the world. Carbon Tax is a tax based on GHG generated from burning carbon content fuels. It can be considered as a market-based mechanism to reduce GHG emissions. The administrative authorities usually decide the carbon tax rates. It places a price on each ton of GHG emitted, aiming at increasing market price of emission-intensive products and/or decreasing profits of their production. In order to minimize cost, the emission-intensive industries are forced to reduce GHG emissions. In a sense, by reducing burning of carbon content fuels, carbon tax stimulates to increase fuel efficiency, to promote clean energy, and to develop advanced technology. Eventually, it changes the investment, production, and consumption to an environmental friendly structure. Norway government started to impose carbon tax in 1991. Since 1996, it has been used as the main climate change policy in Norway. Norway‘s ambitious target in GHG emission is to reduce 30% from 1990 to 2020, and to become a country of net zero carbon emission by 2050(2011 IEA). At present, both Norway’s electricity industry and energy use in buildings have already realized GHG-emission‐free. The purpose of Norwegian government doubling its carbon tax on petroleum industry is to generate large tax revenue and to invest the revenue to innovate new technology for environmental friendly energy. Like other European countries, the carbon tax rates in Norway are different between industries. Petroleum production and natural gas extraction have been imposed the highest tax rate, which is $71.84 per tonne CO2 in 2013(Johnston 2012). In contrast, some other emissions-intensive industries, including air transport, cement and leca production, and aluminum industry, are exempted from the carbon tax system or imposed with lower tax rates. For example, the government levies a tax of only US$8.76 per tonne of CO2 on fishery industry (Johnston 2012). As a result, the carbon tax in Norway covers about 68% of its total CO2 emissions, or about 50% of its GHG emissions (UNFCCC 2006). Even though, Norway is still among the countries that levy the highest carbon taxes in the world. Its average carbon tax is about three or four times higher than the estimated price of quota in the Kyoto Protocol. It seems that Norway has partially promoted its industrial efficiency through implementing the high carbon tax. Until 2003, GHG emissions per unit of production have been reduced by 22%, comparing with that in 1991(Sumner 2011). Since 1996, however, statistics from Ministry of the Environment of Norway show that emissions per unit of production stopped to decrease and even rose a little. On the other hand, even though Norway increased its industrial efficiency, its total GHG emissions, however, increased 15% from 1991 to 2008, because of the expansion of its industries, especially its petroleum industry (Summer 2011). The cost-effectiveness of the carbon tax means that a country can achieve its emissions-reduction goals at the lowest cost, by using carbon tax as policy instrument. Theoretically, if all sectors and households are imposed the same carbon tax rate per unit of emissions over space and time, the costs can be minimized. The cost-effectiveness of carbon tax in Norway has been proved to be limited, because the policy exempts too many industries that use carbon content fuels. The exemptions aim at protecting the competitiveness of some of its products. Therefore, these industries lack motivation to increase fuel efficiency and to reduce GHG emissions. For example, the metal industry and chemical industry are partially exempted from the carbon tax. If they were imposed the same tax rate as petroleum industry, these two industries would decrease their production and/or innovate their production process to reduce GHG emissions. On contrary, the direct and indirect carbon taxes on gasoline consumption account for 78% of the price in Norway (Bruvoll & Dalen 2009). However, the possibilities that the households reduce the consumption of gasoline and/or substitute it to cleaner energy is limited. General speaking, the carbon tax scheme has limited effects on reducing GHG emissions in Norway. Some scholars point out that the carbon tax only contributes 2% reduction of GHG emissions (Bruvoll & Larsen 2004). How to distribute the revenue from carbon taxes has great impact on the sustainability of the climate change policy. Usually, revenues from carbon taxes are distributed in three ways: (1) to develop special carbon mitigation programs, (2) to return tax revenue to individuals, such as through income tax reduction program, (3) to use as supplement of government budgets. The carbon tax is always considered as a regressive tax, which eventually imposes a heavy burden on low-income households. Norway distributes the revenue from the carbon tax to general government accounts. 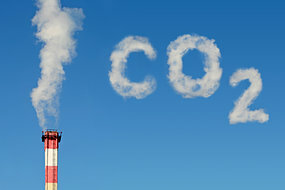 Some scholars argue that if the government levies the high carbon tax as a way to increase its revenue, the carbon tax would not be an economically efficient method to reduce GHG emissions (Prasad 2008). With all its carbon tax revenue from petroleum and gas industries, Norwegian government established a special pension plan that is in the amount of $373 billion, or in other words nearly $80,000 per Norwegian in 2007(Turner 2008). This pension plan has the similar mechanism to that of income tax reduction program. Using carbon tax revenues to fund the pension plan has two benefits: 1) the carbon tax functions as a price on emission-intensive products to reduce the GHG emission; 2) the pension plan partially releases the financial burden of the low-income households. As one of the pioneer countries in the world to implement the carbon tax, Norway might have tried to do its best. The high carbon tax that Norway imposed to some industries has partially reduced its GHG emissions. However, the carbon tax is not economically efficient, because the government intends to protect its domestic industries and exempts too many industries from the carbon tax. According to Hoel, an efficient carbon tax system “should be equal for all users of fossil fuels”(1996). It is recommended that Norwegian government should eliminate the policy of protecting the activities of increasing environmental damage, such as exempting or reducing carbon tax on certain energy-intensive industries. Baranzini, A., Goldemberg, J., Speck,S. A future for carbon taxes, Ecological Economics, Volume 32, Issue 3, March 2000, Pages 395-412. http://dx.doi.org/10.1016/S0921-8009(99)00122-6. Bruvoll, A. and Dalen, H. Pricing of CO2 Emissions in Norway, Statistic Norway, 2009. Bruvoll, A. and Larsen, B. Greenhouse gas emissions in Norway: do carbon taxes work?, Energy Policy, Volume 32, Issue 4, March 2004, Pages 493-505, ISSN 0301-4215, http://dx.doi.org/10.1016/S0301-4215(03)00151-4. IEA, Energy Policies of IEA Countries: Norway 2011, OECD Publishing, 2011. Hoel, M. Should a carbon tax be differentiated across sectors?, Journal of Public Economics, Volume 59, Issue 1, January 1996, Pages 17-32, http://dx.doi.org/10.1016/0047-2727(94)01490-6. Johnston, A. Norway Doubles Carbon Tax, TriplePundit. October 2012. Philander, S. Encyclopedia of Global Warming & Climate Change. 2nd ed. 3 vols. Thousand Oaks, CA: SAGE Publications, Inc., 2012. SAGE knowledge. United Nations Framework Convention on Climate Change (UNFCCC) Compliance Committee. Report of the centralized in-depth review of the fourth national communication of Norway,2006. This entry was posted in Uncategorized by amandaji. Bookmark the permalink. Of curse tax on gas consumption and CO2 emissions on personal automobiles affects emissions. There is an inverse correlation betwen the cost golon or litre and the size of caars. Compare U.S.A. Canada and Norway. It’s obvious. Increse the price of gas/diesel, cars get smaller!